Brian Etheridge is a real estate broker, business development consultant, and real estate developer, located in Asheville, North Carolina. He co-founded the award-winning real estate sales and consulting firm, Carolina Mountain Sales, in 2009, where he continues to provide industry-leading real estate services and strategic business development. Skilled at partnering with business leaders, executives, and key stakeholders, Brian has spent more than fifteen years inspiring his clients, peers, and colleagues, simultaneously building a successful and widely respected company while leveraging relationships with members of both the business and private sectors. Ethics and honesty are the cornerstones of his practice, elevating the consumer experience by fostering best practices, transparency and a commitment to delivering superior client service. Working at the executive level of any organization requires an understanding of the uniqueness of the landscape. Brian understands this and believes that a key differentiator of driving business and converting opportunities is how well you connect with the people you are trying to help. His approach is straightforward—listen, guide, and deliver; while always prioritizing the needs of his clients. Brian’s track record is proof that building meaningful relationships and having an unparalleled work ethic are the keys to his success. As of 2018, Brian has over 460 closings and has generated more than $210 million in real estate sales volume. He has led teams with more than 2,850 closings and more than $900 million in real estate sales volume. 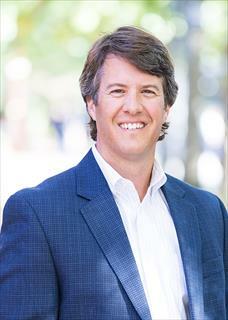 In his esteemed career trajectory, Brian has been actively involved with the development, branding, marketing, consulting, and exclusive sales of communities in Asheville and greater Western North Carolina. It is this well-rounded business acumen that has rewarded Brian with a dynamic career in real estate. Prior to co-founding Carolina Mountain Sales, Brian led sales teams in real estate communities, motivating teams, and delivering record sales results in highly amentized, residential developments typically found in second home markets. A native of Whiteville, North Carolina, Brian resides in Biltmore Forest with his wife Allyson and their two boys; Reynolds and Hayes. Brian is passionate about spending time with his family and friends, enjoying the great outdoors and spending time at the family's Bear Lake Reserve cottage which is located in the Cashiers/Highlands region of Western North Carolina.